Arsenal could be about to unveil a new No.10 after Mesut Ozil made a beeline for his preferred shirt number following Jack Wilshere’s decision to leave the club, according to the Daily Mail. Wilshere’s future has been the subject of constant speculation in recent months as he’s in the final year of his deal and talks over an extension dragged throughout last season. 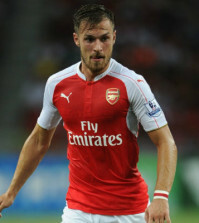 It looked like a deal was close after Arsenal submitted an improved offer in May that would see Jack take home more than he earns now should he stay fit and continue playing regularly. 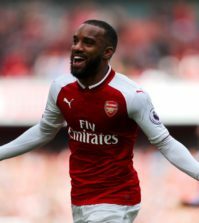 However, the arrival of new boss Unai Emery changed things as the Spaniard couldn’t promise Wilshere regular football during talks between the two men at the end of last season. Wilshere says he was ready to sign the extension until speaking with Emery as he felt the meeting left him with little option other than to leave Arsenal following 17 years at the club. Many fans are disappointed to see Wilshere leave but there could be a silver-lining for one particular player as Jack’s exit will free-up the coveted No.10 shirt and the Daily Mail claim Ozil has already got his eye on the number. 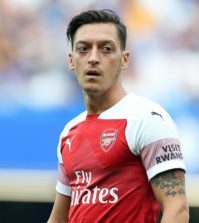 Ozil currently wears No.11 at Arsenal but his preferred number is 10 – which he wears for Germany – and the playmaker is desperate to secure Dennis Bergkamp’s old number ahead of the new season. The newspaper says Ozil’s decision is also driven by marketing purposes as he recently signed a lucrative deal with Adidas and they want him to be wearing the iconic No.10 to help promote the Ozil brand more effectively. It certainly makes sense for Ozil to take the No.10 shirt once Wilshere officially leaves when his contract expires on June 30th, so we could see a new No.10 unveiled at the start of next month. There have already been a few number changes already with Petr Cech taking the No.1, Hector Bellerin has moves to No.2, Mohamed Elneny is now No.4 while Granit Xhaka has moved to his preferred No.34.